Can you remember the subject Emotional Literacy, from either primary or high school? Probably not, because no such subject exists. Our education systems are largely places for developing the intellect — the thinking mind — often at the expense of the body, the emotions and the spirit. Most of Howard Gardner’s eight ‘intelligences’ (musical–rhythmic, visual–spatial, verbal–linguistic, logical–mathematical, bodily–kinesthetic, interpersonal, intrapersonal, and naturalistic) get neglected in favour of the big three (reading, writing and arithmetic). What this means is that our culture — and we as individuals in it — were left to ‘wing it’ with regard to our emotional lives. As such, it’s unlikely that we developed either sophisticated or effective ways of expressing or relating to our inner worlds, or even a half-decent understanding of what emotions are, and what they are for (unless we were fortunate enough to grow up in a family that had an intuitive understanding of — and unusually healthy ways of relating to — them). In our culture, if someone calls you ‘emotional’ it’s usually not meant as a compliment. Emotions are bad-mouthed in many ways, and considered problematic, or in some way inferior to the so-called logical or rational mind. Indeed, most of us have learned to hide or disguise our emotions, and we’re probably not comfortable even admitting to some of them. For example, you might feel ashamed of your anger at a friend, or of your genuine sadness or grief (aren’t we all meant to be happy). It may even feel inappropriate to express your contentment or joy (isn’t the workplace meant to be a place for productivity and seriousness). A lifetime of suppressing these so-called inappropriate feelings may leave us emotionally numb and disconnected from our bodies. 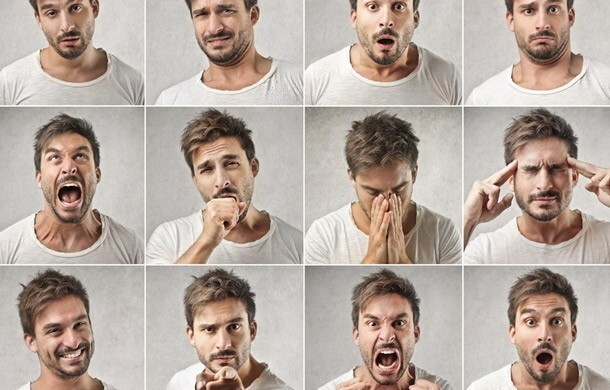 We may have considerable difficulty identifying our emotions or we may not be able to feel at all. Or we may find that our emotions create havoc even when we’re alone. In the meditation, we’ll use sadness and fear to get grounded and clear, and we’ll use anger to generate a strong and capable sense of self. Thanks for making your meditation on sadness fear and anger available online. I found the guidance in relation to boundaries and emotions helpful. You’re very welcome Julia, and I’m glad you found it useful. Thanks Matt it’s interesting to experience and explore the polarities of these emotions and physical sensations individually. I liked the way you linked through each of the other emotions and physical sensation too providing a holistic “emotional” experience. That’s great to hear Nick. Thanks for listening — and for your comment too. This is a very helpful way of becoming aware of your feelings of sadness, fear and anger. I particularly like the part about the anger and the visualisation of a bubble or protective area around me. I think I would also like to break this meditation up and maybe spend more time on each individual feeling. That’s a good idea Susanna. It would certainly be useful to have a meditation dedicated to each of these — and other — emotions. Although I’ve meditated a lot, it is the first time I’ve intentionally brought in emotions of sadness, fear and anger. These emotions didn’t come naturally to me during the meditation. It might have been because I was already in a very relaxed and emotionally satisfied state. However, I found myself very focused on exploring the emotions that I felt during the visualisation parts of the meditation and would like to revisit this activity when I’m in a different mindset. Hi Geeta. It is an unusual meditation. Not many people are familiar with this kind of approach. Your experience — of not feeling much emotion — is quite common. If you’re quite relaxed, then meditation can make (strong) emotions quite difficult to access. Furthermore, this meditation does not ask you to intentionally concoct or bring in any emotion. The idea is simply to note how emotions are always present (albeit only very subtly). For instance, in any meditation where you feel relaxed, sadness (in a soft state) is present. Sadness, after all, is the emotion of ‘letting go’. Relaxation, similarly, is the art of letting go. So, relaxation and sadness go hand in hand. It’s not an intense, weepy form of sadness, like grief or depression or despair. Rather, it’s a gentle form, associated with feeling contemplative, reflective, grounded, wistful or steady. Note that all the emotion words I’ve used in the previous two sentences are synonyms for sadness. There’s a big difference, however, between grief and groundedness.